Shanghai Shibang company annual work review meeting was held in group headquarters’ multi-function hall on January 29th 2010. Group company chairman, company management committee members, departments’ managers, each industrial zone leadership, office represents, installation engineers and group headquarters staff attended the meeting. Firstly, the group company chairman reported SBM annual operating of 2010. The year 2010 is a year of leaps and bounds in development for SBM. In the past year, SBM not only got great breakthrough in production and research, but also maintained a great profit growth. The company's rapid development is due to every employee's efforts. At the following meeting, the group commended individual employees and teams who had made outstanding contributions to the company. International travel worth 80 thousands Yuan and other interesting awards caused the audience’s intermittently cheer! But that is not all. On October 27th 2010, SBM launched sales sprint race by the end of year. All finalists’ team and individuals would have awards, and employees who got top three personal total sales would receive a latest Chevrolet car! Such a blockbuster award make the sales competition more exciting. R&D department and production department offered more cost-effective products. Sales personnel provided our customers with more professional solutions and high quality services. In the sales GongBang list, sales elite ranking and sales were constantly refreshed. 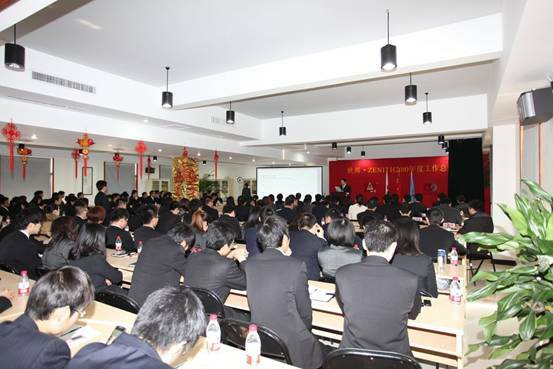 The group chairman said that this year SBM sales elite performance was the sign of steady realization of company globalization strategy, that next year the company would continue to uphold the impetuous, harmonious enterprise culture and concept, walking towards greater success the enterprise and individual.